Ever think about taking your spring cleaning to the next level and clean up your health? Use these 7 tips to make it happen and start your summer off on the right foot. A couple weeks ago, I got so happy sitting at breakfast because I could actually hear birds chirping outside the window. And I don’t know about your neck of the woods, but in mine, it’s getting a bit more tolerable to be outside for more than a few minutes. Hell, just yesterday, I was outside without a jacket! I sat out on the driveway watching my wife cleaning the garage (because duh, I was NOT rummaging through spiderwebs and dead bugs just for the sake of getting things organized. just no!) thinking how nice it is to just get some fresh air! Granted, I live in Utah, which means there will most definitely be one or two surprise cold front in the next couple weeks that will knock us on our socks. But until then, I’m going to savor the warmer weather and get outside as much as possible. With the warm weather, you know what else that means. It’s time for spring cleaning. We’re starting on the garage, but in the coming weeks, there will be even more deep cleaning. Baseboards, blinds, ceiling fans… you know, all those things you don’t have time for during your weekly cleaning. Along with the house-cleaning this spring, I’m actually going to go one step further. We are so aware of cleaning the homes that put a roof over our heads, but what about the homes that we live in 24/7. You know, our bodies. It’s important to take stock of what’s going in our bodies and be sure to take extra care of them a few times a year. 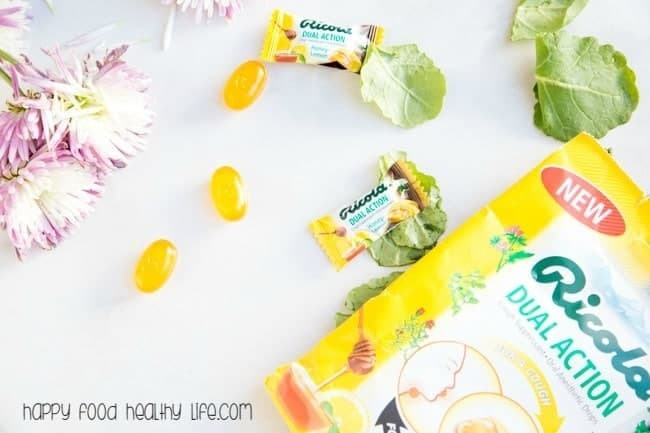 I think springtime is the best time of year to really get our bodies clean. If nothing else, it’s a great opportunity to check in and see where you are and where you can improve. There are many ways you can improve and spruce up your health, and this is where I’m going to start. I sure hope you will join me. 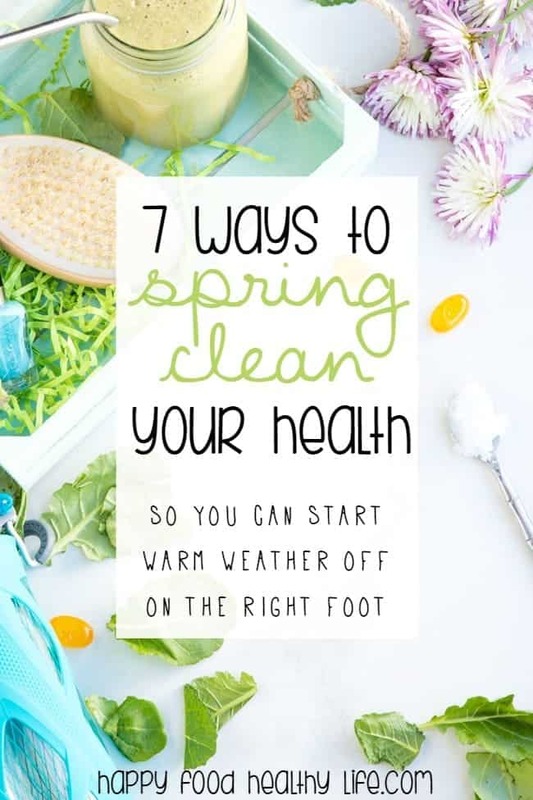 Don’t just spring clean your house – spring clean your health with these 7 tips. I know, flowers are not going to necessarily make you healthier physically, but it is one of the first improvements I like to make for my mental well-being. Fresh flowers in the kitchen. Fresh flowers in the bedroom. Fresh flowers in the cubicle. Whatever you got. Wherever you are. Just make it happen. Having living things in your environment is such a positive force. And then when they’re bright and colorful, it just adds cheer and brightness. Pro-tip: I know the thought of buying fresh flowers on a regular basis seems expensive and frivolous to some. And believe me, I’m just as frugal as the rest of ya. I’m always on the look-out for “manager’s special” bouquets at my grocery store or road-side flowers for sale. I can usually find some inexpensive flowers for under $5. Totally worth it and affordable. Drinking green juices and smoothies is one of the best ways to clean and nourish your body. 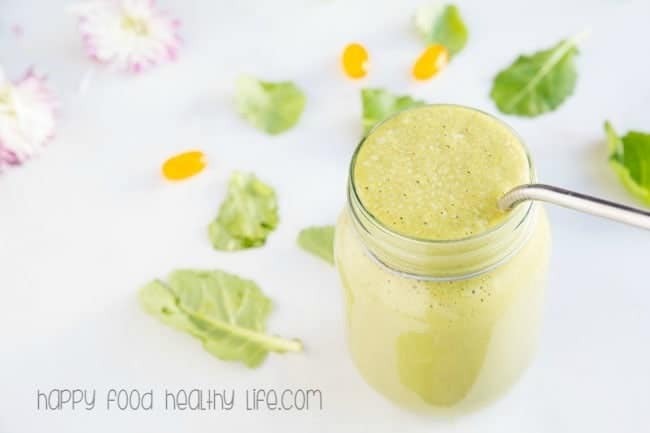 I talked about green smoothies earlier this year when I made the Cream Machine Green Smoothie from Simple Green Smoothies. I feel so much better when I get my fruits and veggies in every day, but as I’m sure you know and can relate to, it’s hard to make it happen on a daily basis. That’s why I do my best to make a smoothie every day so I can ensure I’m getting all the vitamins and nutrients I need. If you’re struggling to know where to start, I highly suggest checking out the Simple Green Smoothies book. Not only are there a ton of recipes, but there are countless tips for incorporating them into your life daily. Ok, this is a new one to me, but the more I learn about it, I feel it’s so important. Growing up in a humid climate in the midwest, my skin was always pretty soft, but now that I live in the desert, I’m seeing the effects to my skin. Dry, flaky, scaly. Ew. So if for no other reason besides cosmetic reasons, I am a huge fan of taking a dry brush or natural loofah and exfoliating all that dry skin off. But there are actually even more benefits to dry-brushing that just having smooth skin. 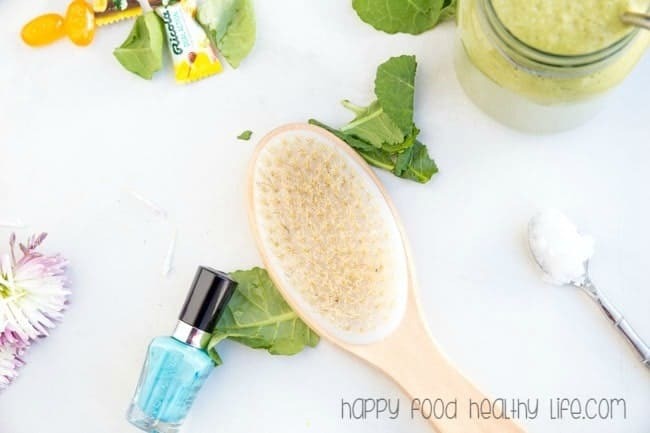 I searched dry-brushing on Pinterest, and found that it improves circulation, helps to rid the body of toxins, decreases fluid retention, unclogs pores, and is a natural stress-reducer. I think it’s the perfect addition to your health’s spring cleaning routine. There’s 4 more tips… go get ’em! I love your ideas! I really love dry brushing and have seen great benefits from that. Never tried coconut oil as a lotion though. Do you find that it is too oily being used alone on skin? I’m so glad you’ve seen great results from dry brushing. What exactly were the results you’re seeing? Just curious. I’ve never had a problem with the coconut oil feeling too oily. Just remember that a little goes a long way. It’ll all get absorbed into your skin. I like to put it on before I’ve even dried off all the way. I know! I’m dying for warm weather! Spring always comes with changes as the nature blooms and our mood rapidly changes. It sounds really amazing to have fresh flowers at home everyday but it is also great to get pot with a new flower and watch it grow slowly. As for the water, I can feel you about the camel comment! By drinking so much water everyday, your advice is great to actually get a glass bottle instead of plastic! Great article! Keep it up with the great work! Awesome tips! Green juice is my go to internal “spring cleaner” as well. Beautiful site! I love how colorful and funky it is. So glad to have found it! Thank you so much Rachel! I totally stalked all your tempeh recipes today and can’t wait to start experimenting with it even more!